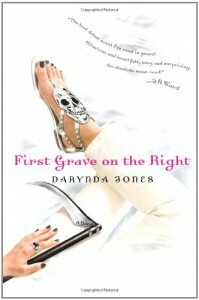 First Grave on the Right will have you captivated and enraptured in the story before you know what hit you. Words are failing me to describe just how much I adored this book! It was a fun light read that kept me up way too late at night reading it. This is one series that is going on my keeper shelf. Charley Davidson isn't your normal private investigator or Police Consultant for the Albuquerque Police Department. She has a secret that not many people know about it-she's the grim reaper. That's right, as in the Grim Reaper~like Patricia Arquette and Jennifer Love Hewitt, only cooler and sassier, Charley can see and talk to dead people. It's her job to help them cross over into the light. She likes her job most of the time, but sometimes it can get to be a bit much-especially when she has to help them with their unfinished business that almost always ends up with her getting into trouble of some kind. In First Grave to the Right, the ghosts with unfinished business just happen to be 3 lawyers who were murdered. As Charley works with her Uncle Bob who is a detective on the police force to help solve their deaths, she also works to solve the mystery of the super hawt entity that shows up in her dreams at night and appears whenever she's in mortal danger. Which happens quite a lot. After awhile I was like, again? Seriously? However I have to forgive all of the many near death misses t because it meant we got to see lots of Reyes, the mysterious entity who I loved. Speaking of love, I also really liked Garret Spokes, the smokin hot skip tracer who is hanging around Charley a lot these days to get answers out of her because her Uncle Bob told him about her job as the Grim Reaper. He just doesn't understand how Charley keeps escaping all these near death experiences and why she keeps getting herself into trouble. Garret tries to talk her out of these dangerous situations, but Charley has no patience for him and all he does is annoy her. I just loved the banter that went on between these two. (Garret reminded me just a teensy tiny bit of Ranger in the Stephanie Plum books.) 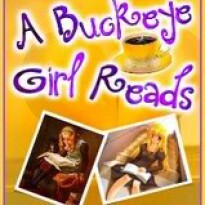 The other secondary characters in this book, her best friend Cookie, her Uncle Bob and her dad were all great. I know I keep using great as an adjective to describe everything in First Grave on the Right, but really I can't think of a better word for this story. It was just that good! This was a fun, slightly dark Urban Fantasy series that I can't wait to get more of. This was one of the best debut UF series that I've read in a long time.